For Free American Flags Clipart, or to view an assortment of image-packed lists of official state symbols, visit any of the links on this page. Students, teachers, and nature lovers should check out the complete detailed lists of official state birds, state flowers, and state trees. Historians and trivia buffs: Visit our up-to-date state mottos page. Many of the mottos are a bit antiquated, but some states have changed their mottos more recently. Everyone: For a very pretty graphics display, take a look at the flags and seals for all 50 states, as well as the Flags of Indian Nations. Their features are alive with symbolism. State Birds: A colorful display of the official bird species for each U.S. state. State Flowers: A striking visual list of officially designated flowers for each U.S. state, plus links to other types of flowers. State Trees: A descriptive graphic display of officially designated tree species representing each U.S. state. State Mottoes Also known as phrases, sayings, quotes and slogans, here's a list of official mottoes pertaining to every U.S. state. State Flags A-K Alaska, Alabama, Arizona, Arkansas, California, Colorado, Connecticut, Delaware, Florida, Georgia, Hawaii, Idaho, Illinois, Indiana, Iowa, Kansas and Kentucky. State Flags L-N Louisiana, Maine, Maryland, Massachusetts, Michigan, Minnesota, Mississippi, Missouri, Montana, Nebraska, Nevada, New Hampshire, New Mexico, New Jersey, New York, North Carolina and North Dakota. State Flags O-W - See flag designs for the states of Ohio, Oklahoma, Oregon, Pennsylvania, Rhode Island, South Carolina, South Dakota, Tennessee, Texas, Utah, Vermont, Virginia, Washington, West Virginia, Wisconsin and Wyoming. Flags of Indian Nations is a page that displays many assorted Native American flags and symbols. State Seals A-K This page shows official state seals for Alaska, Alabama, Arizona, Arkansas, California, Colorado, Connecticut, Delaware, Florida, Georgia, Hawaii, Idaho, Illinois, Indiana, Iowa, Kansas and Kentucky. State Seals L-N This page features state seals representing the states of Louisiana, Maine, Maryland, Massachusetts, Michigan, Minnesota, Mississippi, Missouri, Montana, Nebraska, Nevada, New Hampshire, New Mexico, New Jersey, New York, North Carolina and North Dakota. State Seals O-W This link reveals the official state seals of Ohio, Oklahoma, Oregon, Pennsylvania, Rhode Island, South Carolina, South Dakota, Tennessee, Texas, Utah, Vermont, Virginia, Washington, West Virginia, Wisconsin and Wyoming. Chinese Symbols for States See this page to learn the Chinese characters associated with each U.S. state. Finally, go here for a FREE selection of stars-and-stripes American Flags Clipart. 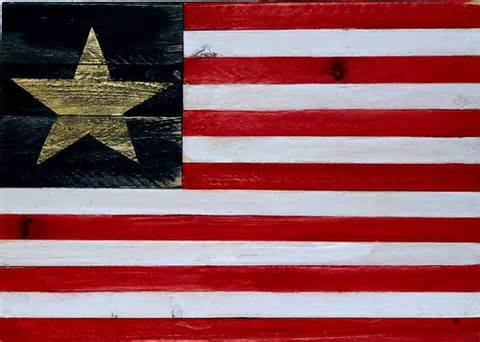 View the evolution of America's flag.